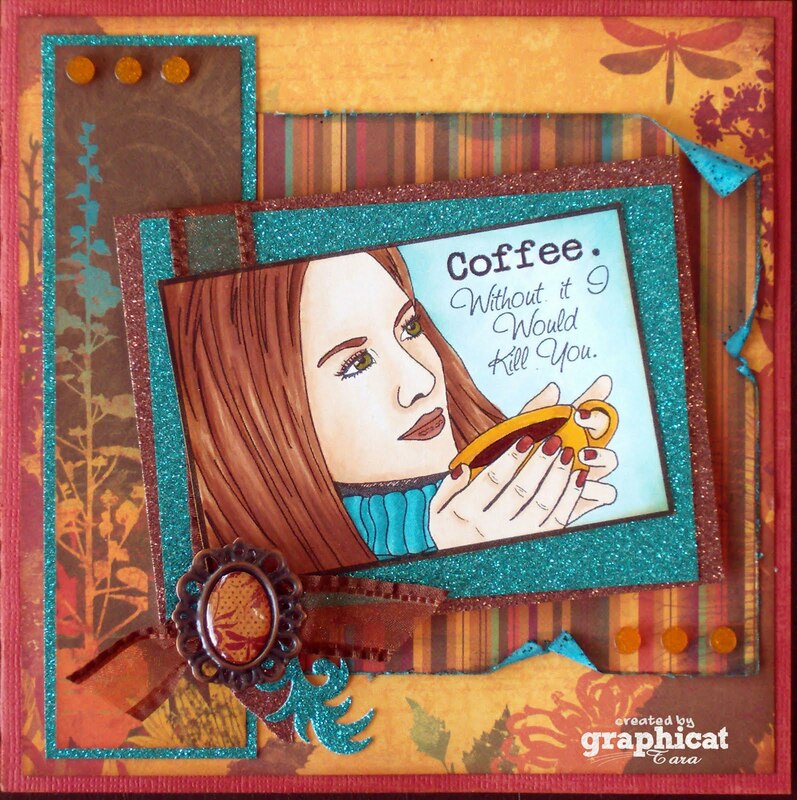 Graphicat Designs Grand Opening Blog Hop! Along with all the fabulous cards you'll be seeing from the Crafty Cats & friends, there will be BLOG CANDY available to people who comment along the way... Graphicat Designs is giving away 3 digital stamps at EACH stop along the hop (so leave some love and you might be my lucky winner!) PLUS a $25 gift certificate for her new online store to ONE lucky person among all of you! The more comments you leave, the better your chances to win something fabulous! There's also one other freebie anyone can enjoy, and that's FREE SHIPPING on all orders placed this week! Fab-u-lous! So, along with my excitement at being part of this hop and celebrating with Cheri the opening of her new business, I'm thrilled that these wonderful stamps will be available for purchase at Creative Accents! Very soon we'll have a lovely display of gorgeous new stamps in the store... and the ones I'm using on these cards will be among them! 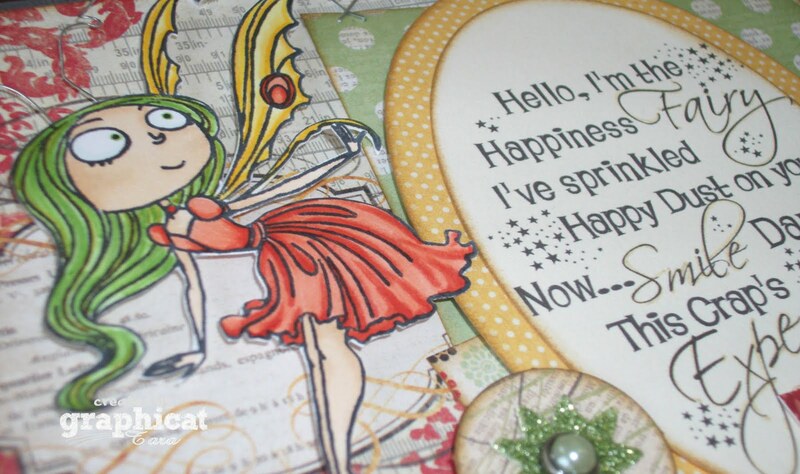 First up, the Happiness Fairy sentiment, which I have been wanting to use for a long time now... This image is now available as a beautiful clear polymer stamp! I've used this fab sentiment together with a fairy from Kraftin' Kimmie, some flowers, papers & embellies from MME & my trusty tiny attacher (thank you, Tim Holtz!). I twisted and turned it, but used the latest Mojo Monday sketch for this one. Here's a close up, which was supposed to show off all the glitter on the fairy... but I'm thinking that didn't work out so well! heehee! Tell me I'm not the only one that feels that way some mornings!? I've used my current FAVE paper collection (in case you hadn't noticed...), Forever Fall by BoBunny. I've also added a ton of awesome glittery cardstock (we've got at least 20 colours in stock!) kept the embellies to a minimum. Isn't she fabulous? There's so much more to see on our Grand Opening Celebration... so hop on over to Yvonne's blog and see what she created using Graphicat Designs images! Both of these are amazing Tara...my Fav of course is that awesome coffee girl surrounded by so much GLITTER!!! Amazing work as always! Thank you so much for all your support! The cards are great Tara! I love the green hair on the fairy on the first one - looks good. The coffee girl could be you, your coloring is so good. Love the cards. Especially the coffee drinking lady. Gotta get me that stamp!!!! Both cards are great love the green hair. Colouring also great. Haaaaa Sentiments are matched perfect. I LOL on the first one! Sooo funny!!! Both cards are fabulous Tara! I do love that sentiment on the coffee girl and you coloring is amazing! Love all the glitter too!! Tara, you out did yourself! These are both amazing, love the colours of both cards. Your colouring and style are fabulous, well done darlin! Wowzers they are both awesome hun! !You know I a sucker for glitter.And of that line a paper.lol.OK green hair on the fairy..freakin' love it! !Great job on them hun! 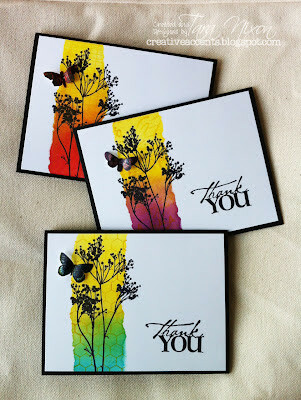 Love how you used 2 Canadian companies...great cards. Great cards!! LOVE,LOVE,LOVE the sentiments!! what great cards !!! wow these sentiments are amazing !!! 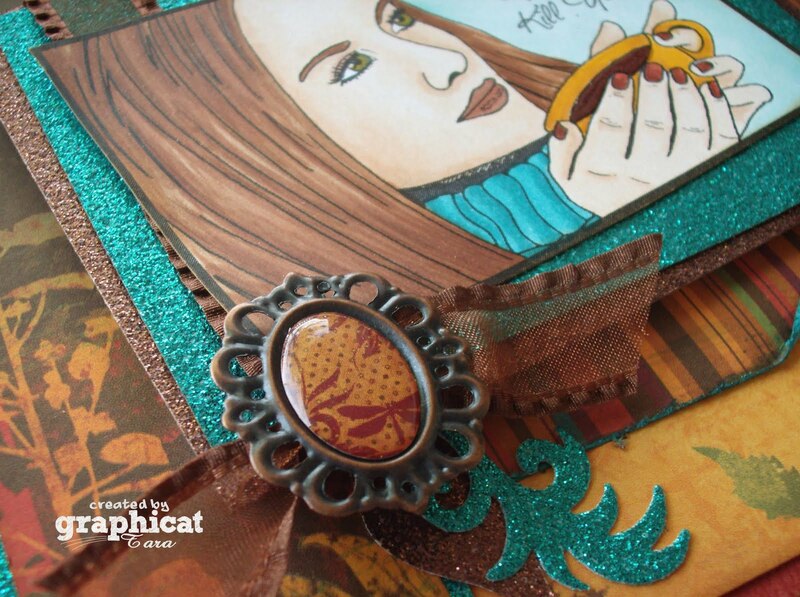 Wow -- your cards are exquisite!! Just beautiful AND funny! Those sentiments are great and unexpected! OMG, this is too funny! Love the sayings and your coloring is perfection. Yay, you finally used that sentiment! Looks great, and I've been wondering how to colour that fairy, I may have to case this! Love the glittery paper on that second card, and now I'm thinking I'll have to get some of that Bo Bunny line, loooooove the blue in there! Tara, you are truly one talented lady! Your colors, papers and use of embellies are amazing! A true inspiration! Tara, your cards are so freakin' amazing!!! Love it! Love it! Love it!!! What a great sentiment on the fairy card.